After more than 18 months in development and six months of successful beta testing (read the full story inside) myPhoneRoom.com™ is finally opening the doors to the general public for a limited time. A select number of founding member positions are available on a first come, first served basis (check inside for current availability). .......-it's success calling from myPhoneRoom.com™! Just Imagine The Power & Leverage Of Putting My Entire Phone Room To Work ON YOUR BUSINESS!!! Finally! Our Revolutionary New Software Makes It Possible! Built on our proprietary half million dollar infrastructure and leveraging new "Cloud Computing Technology," myPhoneRoom.com™ connects all your offline marketing with your online efforts -- INCLUDING your website -- DIRECTLY to our state-of-the-art call center right here in Phoenix, AZ., USA. Fill in the yellow form on the right to experience the power of myPhoneRoom.com™ for yourself! ... Your prospects are IMMEDIATELY contacted by your personal appointment setter -- oftentimes, while your red hot prospect is STILL on your website and at their hottest peak to get started! And the best part is it can happen in real time. Rejoice! You'll never call another lead again! Let our highly trained, professional and award winning staff do all your telling and selling for you so you can live the life of your dreams while making more money than ever before! You'll NEVER have to call another lead again! You'll NEVER have to deal with rejection! You'll NEVER have to waste a minute sorting tire-kickers and chasing unqualified prospects! Now you can quit giving up your nights and weekends away from family and fun. The bottom-line is simple: Time freedom doesn't have to be a dream ... it can start right now and last forever! myPhoneRoom.com™ makes sponsoring new reps easy because your prospects will automatically respect you as a successful leader because you are being introduced by your own professional phone staff. Plus, as a member of myPhoneRoom.com™ you'll be able to honestly tell YOUR prospects they will never have to make a single call if they don't want to -- a huge reason why many are afraid to start a home business! and TRIPLE Your Income in 90 Days! 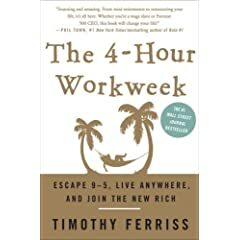 Inspired by Tim Ferris' book: "The 4 Hour Work Week" and Mike Dillard's "Black Belt Recruiting," -- outsourcing your calling to myPhoneRoom.com™ lets you focus on what's most important: Growing your business and living your life. myPhoneRoom.com™ is the HOTTEST new product of 2009/2010 and we have an exciting and lucrative affiliate program that pays HUGE cash! Fill in the yellow form above and on the right to experience the power of myPhoneRoom.com™ for yourself! triple your income in as little as 90 days! Courtesy reminders & info will arrive via txt and voicemail. You can opt out any time. There is no fee, but standard carrier rates apply. By filling in the form above you accept terms. I will never sell your info! Thank you for all you have done to help me. It's a real pleasure knowing and working with you now for several years.Josh you and your team have helped increase my sales exponentially! Your No More Phone Calls program is absolutely awesome! It' addresses the needs of 98% of the marketers. If you hate "Cold Calling", if you "Hate Phoning", if you�re ready for your sales to explode you need No More Phone Calls starting today! –Randal Williams AKA "The 500k Mentor"
started by Network Marketers FOR network Marketers. realistically triple your income with no work! Copyright 2012 myPhoneRoom.com™. All Rights Reserved. Summary Terms & Conditions: Our mobile text messages are intended for recipients over the age of 18 and are delivered via US shortcode 201-345-5982. You may receive up to 5 text alerts per month. Messaging & Data rates may apply. This service is available for subscribers on AT&T, Verizon Wireless, Alltel, T-Mobile ®, Sprint and Nextel, Virgin Mobile USA, Cellular One Dobson, Cincinnati Bell, Centennial Wireless, Unicel, U.S. Cellular®, and Boost. For help, text HELP to 201-345-5982, email josh@myphoneroom.com , or call 6026867218. You may stop mobile subscription at any time by sending a text message STOP to short code 201-345-5982. Your phone must have text messaging capability. This page is only intended for lawful businesses. If you are not a business or not desiring to start one you must exit this page immediately.